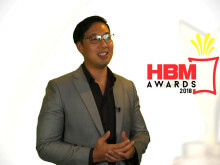 SINGAPORE, Friday, November 23, 2018 – Hong Bao Media, a leading provider of media and communications services founded by ex-CNBC anchor Mark Laudi, has today announced the winners of the inaugural Hong Bao Media Savvy Awards 2018 in Malaysia, which recognises local business leaders for their media skills, and showcases skilled and credible home-grown communicators. The Hong Bao Media Savvy Awards will return in 2019, with additional features in the works for an even bigger award next year. "All the shortlisted candidates of the Hong Bao Media Savvy Awards 2018 demonstrate what we've known all along: that our local business leaders can be just as good communicators as their Western counterparts," said Hong Bao Media CEO and former CNBC anchor Mark Laudi. "Our vision is to build a culture of excellence in communication, to maximise the potential of Asian companies in the Asian century. "We saw 65 candidates nominated across Singapore and Malaysia, and we selected those who displayed greatest technical skills and confidence, but also authenticity and credibility in their performances," Laudi concluded. 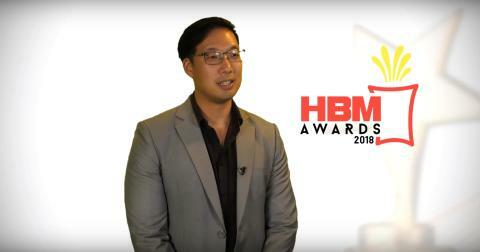 All shortlisted candidates' nominations can be found at the official Hong Bao Media Savvy Awards website. Hong Bao Media provides media solutions for corporate and government clients in the Asia Pacific and Middle East. We operate two Integrated Communications facilities, one in Singapore's Central Business District and another in Kuala Lumpur's Central Business District. These consist of green screen television studios for on-camera recordings and webcasts, adjoining training facilities for small groups of senior executives. Eqhwan Mokhzanee, CEO of AmBank Islamic had a lot to say when he was on The Breakfast Grille, BFM 89.9 with host Melisa Idris. In his broadcast interview, Eqhwan discussed his perspective on Islamic Finance (IF) and what it takes for Malaysia to remain competitive. Martin Khor was doorstopped by reporters after meeting Malaysia's Council of Eminent Persons (CEP). But the Director of Penang-based non-profit research and advocacy organisation Third World Network set the pace for other local business leaders in dealing calmly with such high-pressure situations. John-Son Oei's confidence, good body posture and maintaining eye contact with his audience makes him worthy for the Best Conference Presentation category of the Hong Bao Media Savvy Awards 2018 this week.